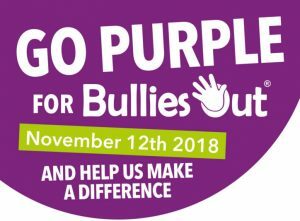 This article caught our eye and while it won’t stop bullying, it may just bring children closer together. It’s a simple solution to the age-old schoolyard problem of loneliness. 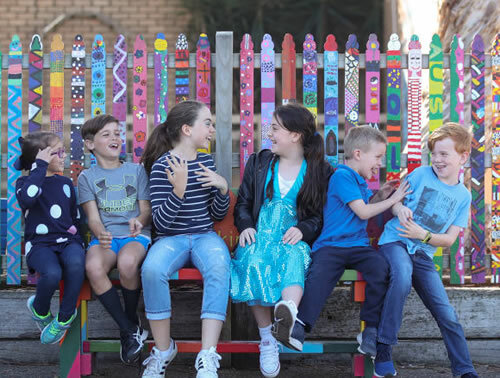 When a student at Our Lady of the Assumption Parish Primary School (Melbourne) feels isolated they wander over to the rainbow “buddy bench” and sit down. Within minutes, one of their peers will approach them with a smile, ask if they are OK and invite them to play. Thousands of buddy benches have cropped up at schools around the world over the past few years as part of a movement to stamp out loneliness and foster friendships. The Cheltenham school’s wellbeing leader Jacqueline Kovacich said sitting on the bench provided a visual reminder of a child’s often invisible plight. While the Catholic school in Cheltenham goes out of its way to help students feel connected, new research released by the Australian Council for Educational Research suggests Australian schools could be doing more. According to the report, Australian students lag behind their peers in OECD countries when it comes to feeling a sense of belonging at school. More than one in five students reported that they felt like an outsider and awkward at school, while 16 per cent said they were lonely. Indigenous, female, Australian born and rural students, as well as those from disadvantaged backgrounds, were the hardest hit. First-generation Australians, migrants, males, city-dwellers and those from advantaged backgrounds reported the greatest sense of belonging. The research was based on 2015 data from the Programme for International Student Assessment, a test which pits the world’s 15-year olds against each other every three years. It prompted students to respond to six statements about their school, including ‘‘ I feel like an outsider at school’’, ‘‘ I feel lonely at school’ ’ and ‘‘ I feel like I belong at school’’. These responses were used to create a sense of belonging index for each country. The research found Australian students’ overall sense of belonging had dipped significantly since the assessment was first rolled out 15 years ago. But there were also some positive signs. Australian students eclipsed the OECD average when it came to making friends easily at school and reporting that other students liked them. Australian Council for Educational Research deputy chief executive for research Dr Sue Thompson said students were more likely to do well at school if they felt connected. ‘‘ It’s tied to emotional and educational success, to long-term health and wellbeing and it means children are more likely to engage in school activities,” she said. This article is from the June 7, 2018 issue of The Age Digital Edition.